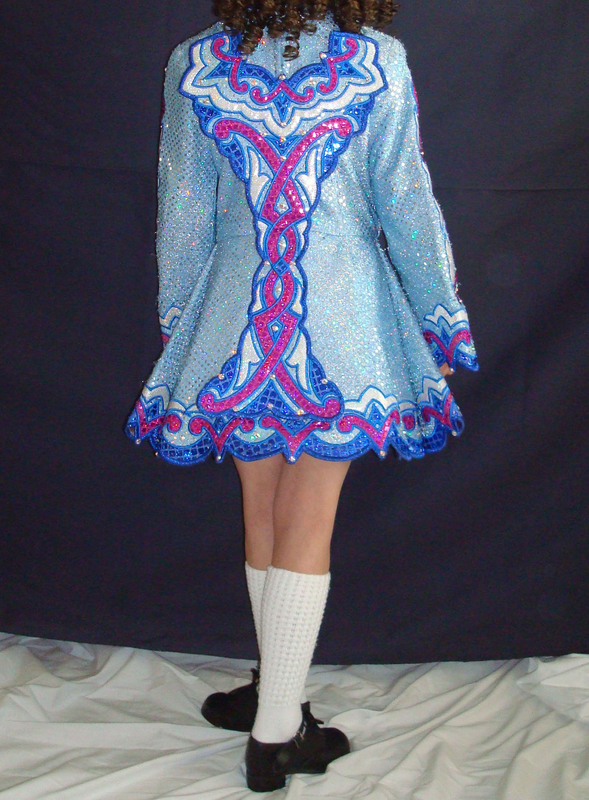 This is a fabulous first solo dress for a young Novice/Prizewinner dancer. 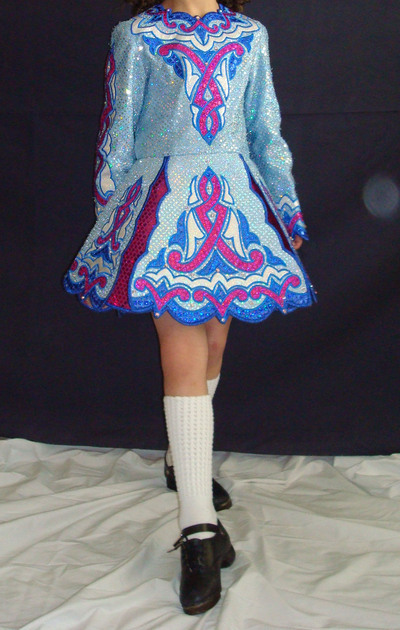 Lots of sparkle and fun blue and pink colors. Asking Price: $US250. Shipping costs are included for my own country, overseas shipping is extra. Sale is final.